Culture Minister applauds Habima Theater's insistence on performing at Kiryat Arba, despite leftist pressure. 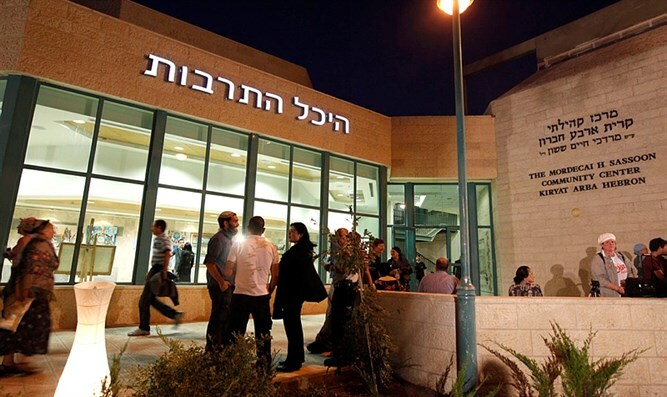 Culture Minister Miri Regev applauded Monday night the Habima Theater's decision to go on with its scheduled performance at Kiryat Arba – Hevron, despite leftist pressure. This will be the national theater troupe's first-ever performance in Hevron. Regev said the decision was in line with her ministry's policy "to perform in all parts of the country." "The decision to perform in Hevron for the first time exemplifies the fact that the national theater has a central role in treating all citizens of the country as equals in the right to cultural enrichment," she said. She praised the troupe for "its firm stance against the undercurrent of leftist criticism" and compared those critics to "the bullies of BDS". Dr. Haim Weiss, a senior lecturer at Ben Gurion University had pressured Habima not to perform in Kiryat Arba – Hevron, because it is supposedly "occupied territory".